The better-than-expected tax take helped to push the Exchequer to a €106 million surplus for 2018 - despite an increase in Government spending. According to the Department of Finance total net voted expenditure - which covers the bulk of departmental spend - was €810m (1.6%) ahead of target at €50.4 billion. This is also €4.15 billion (8.7%) higher than the 2017 spend. At the same time total non-voted expenditure, which covers areas like Ireland's contribution to the European Union budget, was €422m (4.1%) lower year-on-year at €9.76 billion. 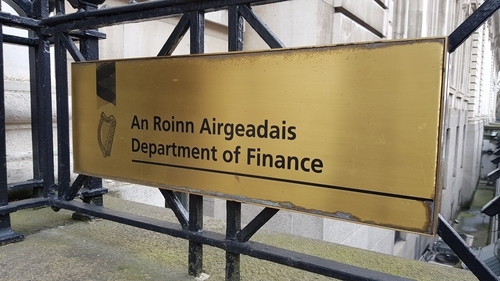 "All major tax heads, except excise duties, are up year-on-year, reflecting the growing strength of the economy, while expenditure remains close to Budget day expectations," said Minister for Finance, Public Expenditure and Reform Paschal Donohoe. "This means that we are on track to exceed our fiscal targets for 2018, with today’s figures recording a small surplus. "Any gains in 2018 against profile represent a positive development in terms of our potential to reduce our overall debt burden. We must continue to prioritise the reduction of debt, which in the event of a shock to our tax base, would assist our fiscal capacity to deal with such an occurrence, putting us in a stronger position to weather potential storms and ensure our economy remains resilient." KBC Bank Ireland chief economist Austin Hughes said the progress made on Ireland's public finances were the result of "sustained hard work" but the 2018 surplus was "largely fortuitous". "It is probably best to emphasise a return to broad balance in the public finances in 2018 downplay rather than overstate the numerical significance of what is only a fractional surplus," he said. "However, the broader significance of the turnaround in the Irish public finances through the past ten years is noteworthy." "To date, much of the volatility in corporation tax receipts was positive, but were it to move in the other direction, Government finances would be left very exposed as most of this unexpected revenue was used to finance unplanned supplementary estimates," she said. "Any future surge in resources should be ring-fenced for one off capital projects as opposed to day-to-day spending." Peter Vale, tax partner at Grant Thornton, echoed this and said that last year's performance should not be seen as an indicator of what is to come. "Without the fallback of bumper corporate tax receipts, coupled with Brexit looming on the horizon, the position for 2019 is far from certain," he said. "The corporate tax position itself is very dependent on returns from multinational corporations. While these remain robust, international tax developments remain fluid. "While in our view Ireland is well positioned to continue to prosper in the new global tax environment, uncertainty remains and we have little control over how it will play out."